OPAL (Older People’s Action in the Locality) is a registered charity and was established in January 2002 as part of the Leeds Neighbourhood Network schemes. Membership costs £10 per year. We have 684 members and over 90 volunteers, aged 16 to 80+, all highly valued by our staff team of four. See us on Facebook. Follow us on Twitter @OPAL Leeds 16. 12.15—4.15pm. Join Anne and our volunteers to visit Owlcotes or Morrisons. We will pick you up from home, cost £4. Book well in advance if you need assistance or a wheelchair, as we have limited space. We have some wonderful volunteers to help you master computers at home or at the OPAL Office. Sessions are one to one for one hour and cost £4 in the office, £8 at home. In the office you can use our computer or bring your own laptop. 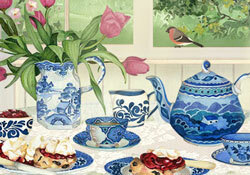 Leeds University Union students have invited us to a tea party on Wednesday 13th March, noon-3pm. OPAL Dewsbury Market Trip to the Victorian Market Hall is on Wed 6th March 10.30am-4pm. There is a waiting list now for the Salt’s Mill Visit on Thurs 18th April. The Men’s Group are meeting on Mon 4th March 11.30am –4pm, for a pub lunch at the Original Oak, Headingley and then a guided tour round Marks & Spencer Archive. They meet at 10.30am-4.15pm Mon 8th April for a trip on a wheelchair accessible canal boat at Mirfield with a picnic lunch on board. The Creative Writing Group will meet with librarian Kit Lardner on Mon 18th March 2pm-3.30pm at Holt Park Library, all are welcome. Come and listen, or join in discussions over a cup of tea. You do not need to be over 60 or a member of OPAL to join this group, or to join the LS 16 Community Choir where a group of us from LS 16 meet to enjoy singing together at Cookridge Primary with the school choir on Tues lunchtimes and/or Thursday after school. The Hub, Silk Mill Drive LS16 6DX are also open to all, on Fridays 1.30-3.30pm. A new fortnightly Thursday Coffee Afternoon is to be held at St Paul’s Church Hall, Ireland Wood—starting Thurs 11th April 2-4pm.